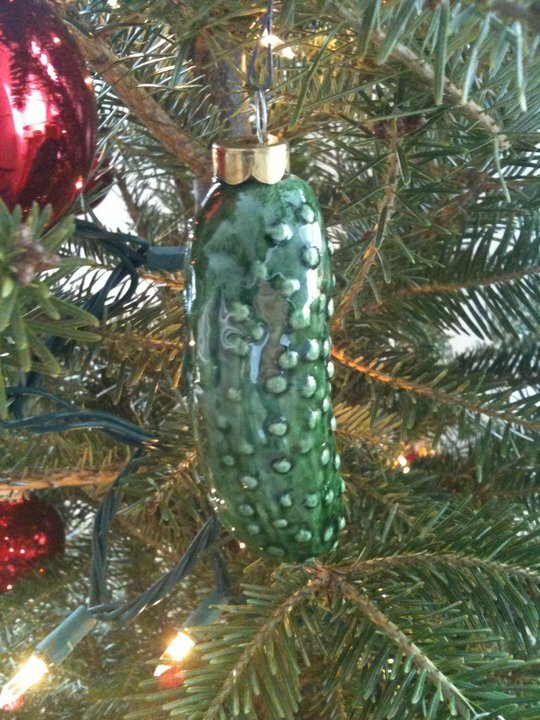 Mentioned in my earlier post, My Love Affair With Pickles, this is my cherished ornament that my mom gave to me as a Christmas gift. I can’t wait until Christmas is here so I can display it front and center on the tree! Ha ha that is an AWESOME ornament! My 3 year old has just discovered pickles and she LOVES them. Also olives and capers. Uh-oh. I have to be careful she doesn’t get the first preschooler case of gout! I love olives and capers, too 🙂 Will be a post on that soon!